Spanning two floors, the exhibition was built around 5 themes showcasing the chronological and historical perspectives of the interactions of South Asians with Southeast Asians and East Asians. 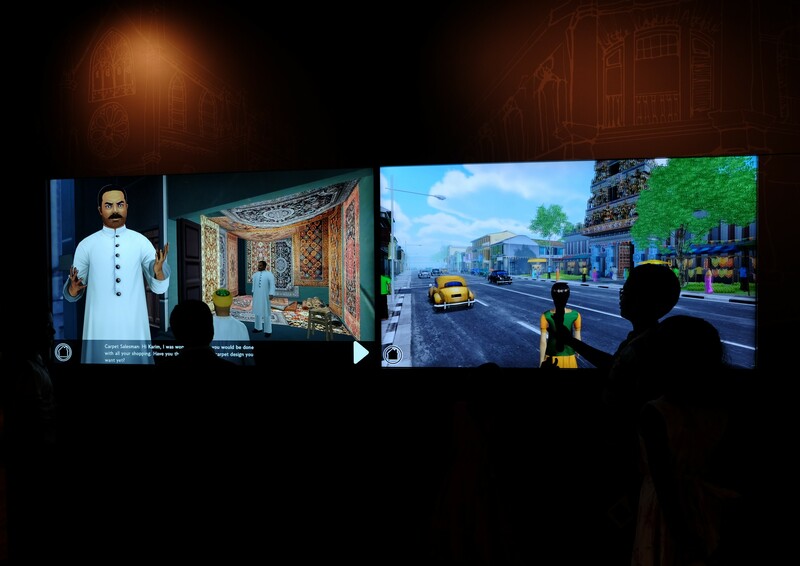 We liked how IHC employed a blended approach to the exhibition using augmented reality in the forms of audio guides downloadable onto our mobile phones, digital stimulus in the forms of maps and games along with the presence of curated objects, donated by the Indian community in Singapore, and an absorbing film showing the impact of global events on Singapore’s Indian community. To celebrate its opening, IHC has organised its month-long IHC CultureFest. Now in its last week, this weekend promises a range of activities for the whole family. Find out more details on the IHC website. Admission to the exhibition is free for all during the IHC CultureFest.